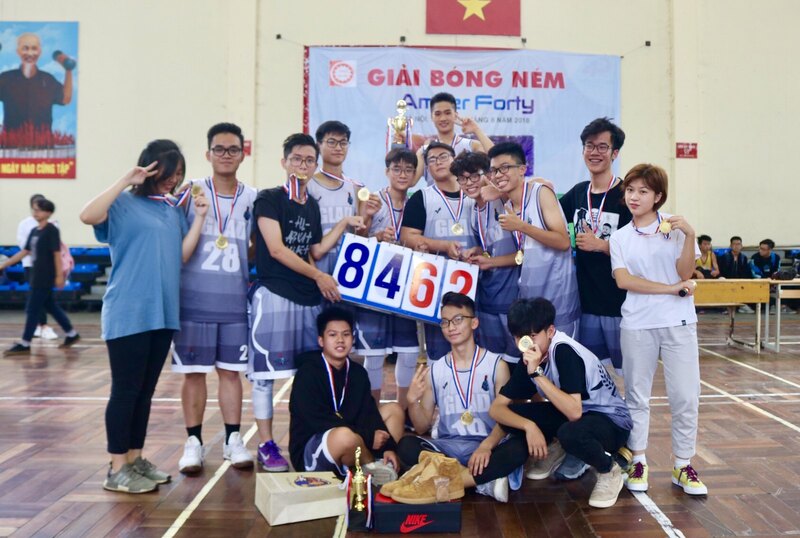 On the morning of November 14th, 2018, the final and closing ceremony of Hanoi Amsterdam High School for the Gifted’s annual basketball tournament ABC - Amsterdam Basketball Championship were held at the school’s gymnasium in the enthusiastic cheers among the crowded supporters. Immediately after the lessons ended, the seats in the gym had nearly been filled. 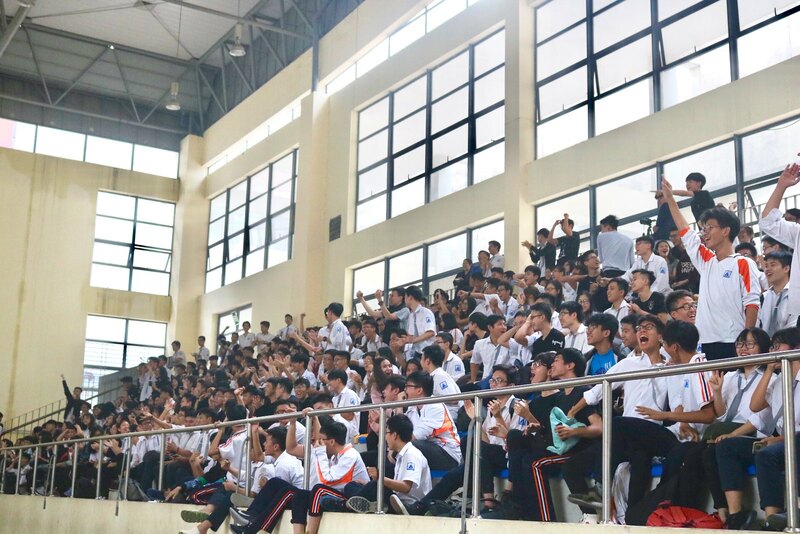 It seemed that the students were extremely eager to observe the competition for the first place between two teams: Gladiator and Hydra. 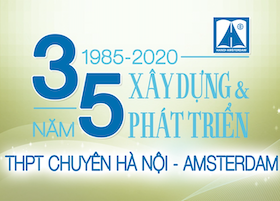 At a quarter to eleven sharp, after having read all athletes’ names and held traditional ceremony to salute the national flag, the contest’s organization committee declared that the competition had officially begun. The competition was very intense. The audience was ecstatic at the athletes’ each and every ball passing or brilliant shots. Beside the rapturous emotions were the tense moments when the athletes stole the ball over the opponents. Gladiator and Hydra were both considered as tremendously strong teams since the first days of the championship. However, it seemed like that day was an unfortunate day for Hydra to compete as in the first two rounds, the team always let the opposition take the lead. 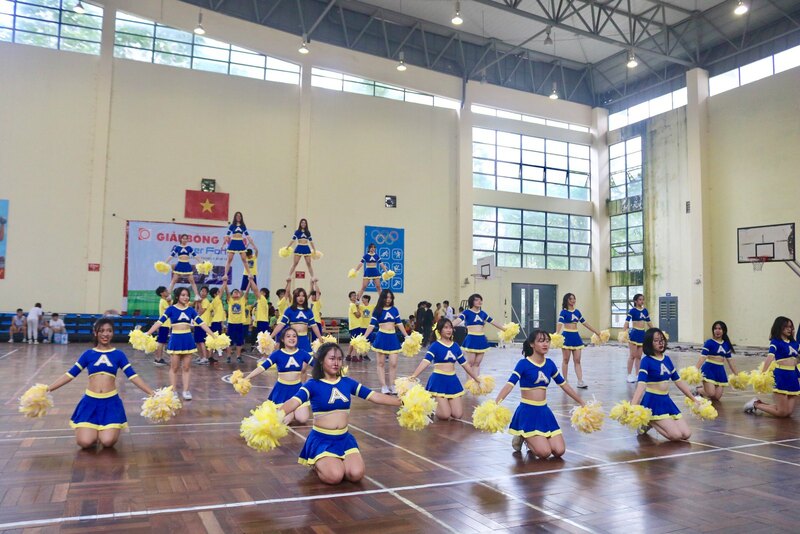 In the half-time, to dispel the strained atmosphere and encourage the two teams’ spirit, Cheer Ams had delivered a remarkably energetic and impressive performance. Onto the next round, the two teams had enhanced their acts, satisfying the audience with eye-catching ball serves. The supporters’ cheerfully rousing spirit had somewhat passed the fiery will to these athletes so that they could compete more fiercely. 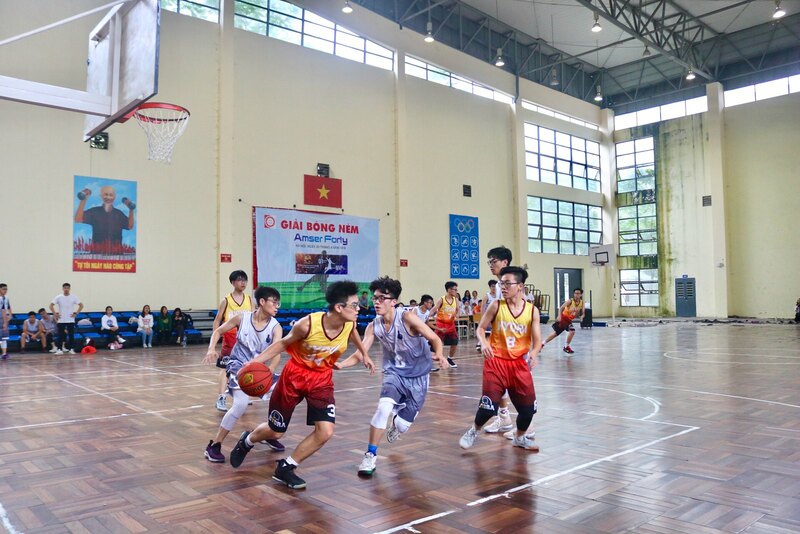 In the last two rounds, Gladiator appeared to have seized the championship with professionally experienced ball dribbles, thanks to the senior athletes who had contested in many tournaments, such as “eight” Quan, Le Tuan Duong, Ngo Son Nam, Ha Nhat Minh, Ha Duc Minh, Dong Bui, Tran Ngoc Trung and very promising new names such as Tran Tuan Hiep,... Finally, Gladiator had gained victory over the opposing team with the score of 84 over 62. Immediately after the match ended, the organizing team proclaimed the closure of ABC 2018-2019. The championship trophy was given to the winners. The athletes from first, second, third teams were given medals. After that, the teams took pictures with the organizing board and Cheer Ams in memory of the event. ABC - Amsterdam Basketball Championship had officially come to an end with Gladiator’s convincing triumph. Congratulations to the winning team and a season of ABC with success beyond expectations.